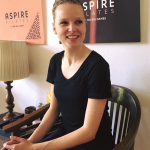 Located in an elegant historic building at Koninginnengracht 28, in the Willemspark – Archipel area of The Hague, ASPIRE Pilates is a boutique studio in the Bloom | House of Health Wellness centre dedicated to effective Pilates practice in a warm and encouraging setting. Imagine yourself standing tall and proud, your mind sharp and focused; your body free of strain, worn joints and tight muscles, with all its elements aligned and enhanced for a balanced and harmonious wholeness – that’s the transformation you attain with dedicated practice at ASPIRE Pilates. At ASPIRE Pilates we do not promise you “the hot body you always wanted”. At ASPIRE Pilates we teach you the tools and techniques to achieve your BEST body! You only have one body – Listen to it – Learn it – Love it. When I first met Lucy in December 2014, the relationship I had with my body (and mind) was a negative one. I was struggling to find ways to get back to myself and regain trust in the body that had let me down. Lucy welcomed me. She saw the potential, but also saw the struggles. The Pilates studio became a safe place, where I got to know my body again and learned that it is capable of so much more than I gave it credit for. Over the past six months I have learned that it was not my body letting me down, but letting me know. Now, stronger, leaner and much more balanced, I love pushing through those boundaries I thought were there; mastering exercises, trying out new things - it is empowering for both mind and body. I have incorporated Pilates in my daily routine, which to me means that I have incorporated 'me-moments', where I work with my body instead of against it. I move more, I move better and have been able to get back to cycling, running and other forms of exercise I hadn't been able to do for a long time. Pilates is one of the best presents I could have given myself! The Pilates sessions at ASPIRE have brought me focus, coordination, strength and confidence. But most importantly, it has brought me acceptance, by others and myself. Pilates with Lucy Bosscher has changed my life! Breathing Pilates helped me learn how to breathe! I am a former smoker and had a problem taking in enough oxygen to exercise properly. I can now jog distances and feel confident and relaxed enough to enjoy exercising because all of my organs are getting sufficient oxygen. Lucy has taught me that through Pilates I can isolate muscles for development to create the long, strong muscles that allow me to stand and walk gracefully. Pilates has provided me the type of exercises that I can age beautifully with strong muscles, aligned body posture, and balance! Lucy created a custom Pilates program to target my physical inefficiencies. Suffering with muscle stiffness and weakness for over two years inhibited me functioning to my best abilities. After fourteen sessions, I have the flexibility and strength to perform movements and carry weight like before my injury! 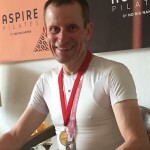 I started Pilates in 2014 at the suggestion of my doctor who examined me at the time for the purpose of issuing a medical certificate for competitive cycling. I have a history of lower back problems and the doctor suggested that Pilates would be a good way to reduce the risk of further lower back issues. I had already started a programme of core strength exercises designed for cyclists and Pilates seemed a natural extension to this with the benefit of regular sessions to keep me focussed on progress. When I started Pilates I had good strength in my legs and cardio-vascular system but that was about it. Now I have much better all-round strength and especially noticeable are the core muscles that form a more protective ‘corset’ to support my lower back. My balance and flexibility have also improved substantially. All these changes have improved my cycling performance; much of my ability to climb mountains on the bike comes from the contribution core strength makes to powerful pedalling. Also I have become much more aware of my posture and the muscle groups and functions in my body. Pilates has become a very important part of my fitness regime. Combined with the cardio-vascular workouts cycling provides, I feel it addresses most of the other aspects of general fitness I would otherwise miss. I enjoy the regular sessions when I am not away taking part in cycling events and it feels good to see that there are still challenges to face in Pilates even though I have made a lot of progress so far. I began Private Pilates lessons with Lucy Bosscher in the Fall of 2013 after relocating to the Netherlands with my husband. My body and mind have completely transformed through increased strength, toning and lengthening, as well as overall confidence. Through her process, Lucy focuses on body awareness, which has resulted in a healthier lifestyle for me. Lucy is very conscientious of my capabilities and limitations, she customizes each session in accordance with how my body and mind are feeling during each session. Most importantly - it’s apparent that she has a personal interest in my personal wellness. 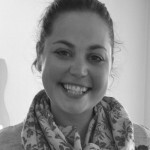 I emphatically recommend Lucy to anyone looking for a short body restart or long-term wellness goals. I have taken pilates lessons in three different continents, and Lucy is easily one of the most thorough, detail-oriented, and creative trainers I have trained with. Personal training sessions can vary widely in quality and impact, even if the trainer is highly skilled and experienced. 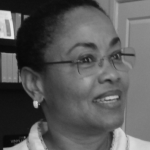 Being a polyglot and having lived around the world, Lucy is comfortable with and interested in people from different backgrounds, ages, and professions. This makes her a personable, intuitive, and flexible teacher who can adapt to the personal goals and motivations of her clients. My sessions with Lucy have helped me develop a sense of body awareness that has translated into the way I move and function in everyday life. Thanks to Lucy, I stand stronger, firmer, and taller today – and in the Netherlands, every inch helps!